Deciding on the Technology stack is essential when it comes to developing a Top notch web application. Small businesses and startups have a difficult time in determining the appropriate tech stack with their limited budgets. A technology stack is the most bang for the buck for both small businesses and startups to get the projects off the ground. Choosing the right stack is the key to any project success. The technology stack mentioned here is modern variants of open source to enable lean and agile development. Server side programming: – This side of web application development isn’t visible to the user, but it powers the client side. The challenge is to decide to choose the server side technologies for developing your web application. Programming languages form the logic of websites and applications. To simplify these programming languages, multiple framework tools are used for faster coding. ASP.NET is an open-source server-side web application framework developed by Microsoft for programmers to design dynamic web pages. ASP.NET allows the user to use full-featured programming languages such as C# or VB.NET. ASP.NET has three frameworks for developing web applications. All the frameworks are mature and stable to create great web applications. Each of these three different framework targets different audience and type of application. Selection of the right framework depends upon the combination of your web experience, comfort and best fit for the types of application. • Never choose on competitor’s experience. • Decision-based on past projects. • Decisions based on online research. Selecting the right tech sack is a real challenge to choose the technologies according to your project. Never rely upon the time-proven technologies used by large and successful companies in prominent projects. Be realistic in choices to think about the pros and cons into account as a single wrong choice of technology nay end in financial losses. 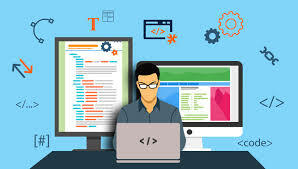 The right team of web developers will be able to assist in choosing the right tool for delivering the top notch web application with all the functionality needs.